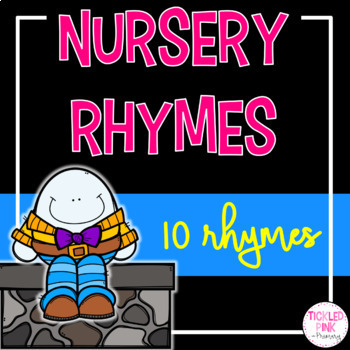 This bundle includes 10 of the most popular nursery rhymes. 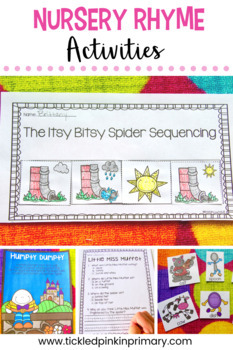 Teach 1 a week and this bundle gives you 10 weeks of lessons! 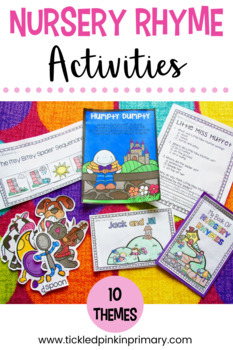 Nursery Rhymes are a great way to start off the year to help students learn patterns in text, build fluency, and increase confidence in reading. 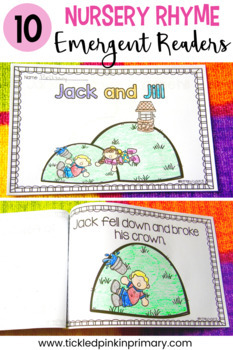 Read my blog post here to see pictures of these activities in action and to get an idea of how I teach nursery rhymes. View the preview file to see all the activities. Feedback is always appreciated!! Don't forget to click the green star to "follow me" at the top of this page and be the first to know of new products, sales, and giveaways! !